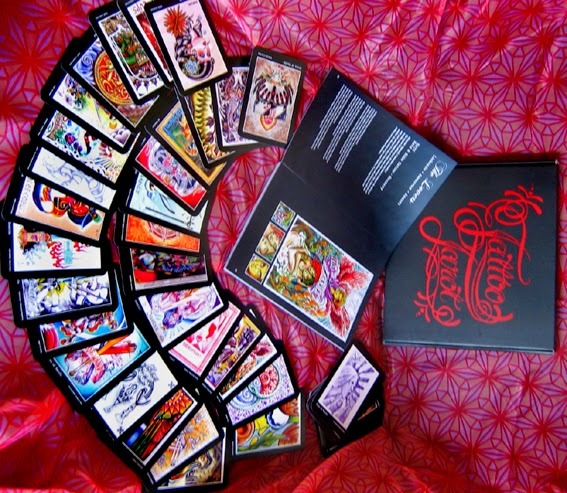 A couple of years ago I participated in this amazing project-The Tattoo Tarot. My teacher Astrid Köpfler initiated it, went around on the Tattoo Conventions globally, let an artist draw a card, that he or she had to design then. So every card is designed by a different Tattoo Artist. The list includes big names like Colin Dale, Pat Fish,Christian Benvenuto, Theo Jack, Xtophe and so on. 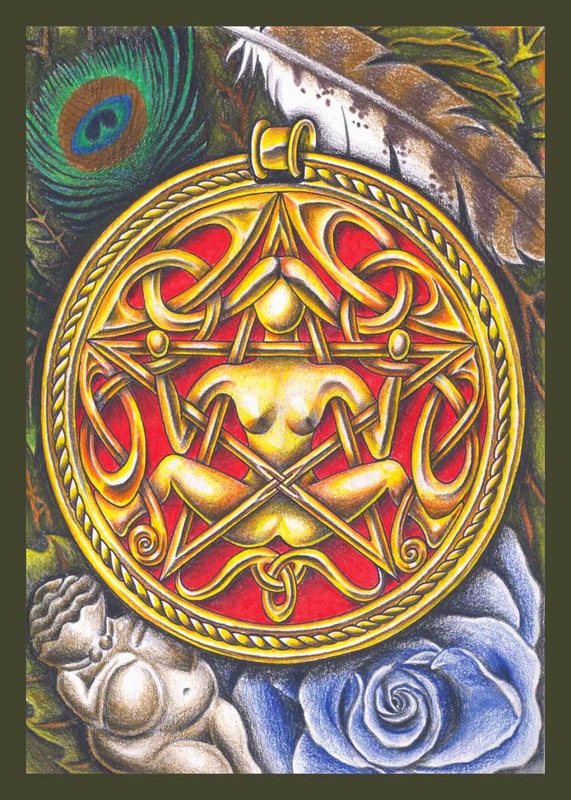 It is a full usable set for divination and a unique piece of contemporary Tattoo Art.